Need Help for Chronic Pain After an Ankle Injury? Why are we posting this pair of legs with shoes on? We're celebrating, of course! 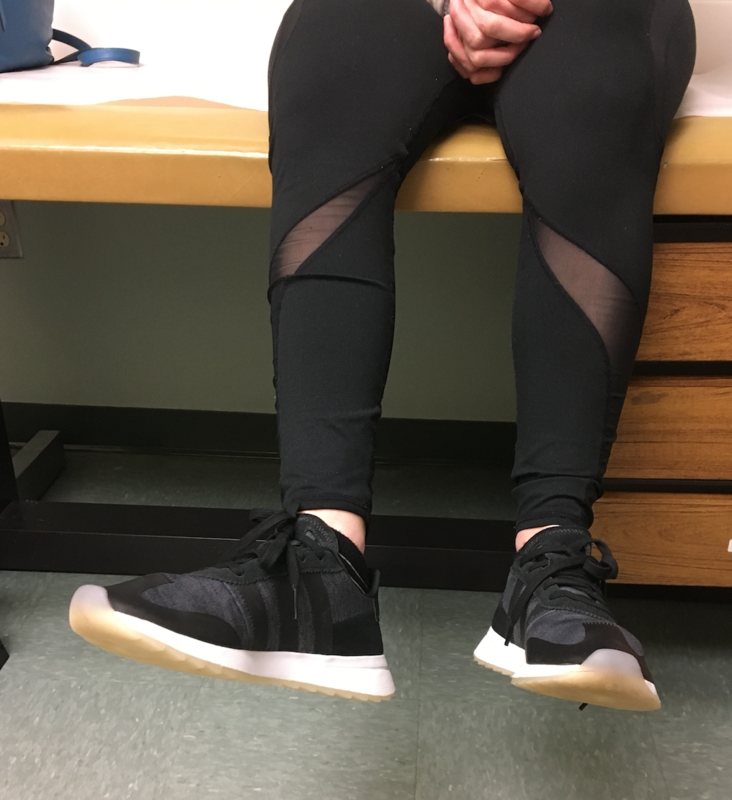 This is the first time this patient has been comfortable in a pair of real shoes in several years. We sometimes take this ability for granted, and that is why we are celebrating this patient's feet. She was in a post-op velcro shoe for a long duration of time after she suffered terrible complications of chronic regional pain syndrome, following a failed bunion repair. After excellent orthopedic foot and ankle care give to her by Dr. Lew Schon at Union Memorial Hospital to revise and repair her failed bony complications, she was still unfortunately having tremendous pain. After failing to control or reverse the pain with physical therapy and medications and injections, she was referred to us for evaluation and management. She had been only able to walk with crutches and wasn't able to put weight on her foot for more than a year when we first saw her. The pain was described as sharp, stabbing, burning, terrible hypersensitivity pain. Air blowing across the skin was described as raking hot coals over her foot, and she described an electrocution-type pain in the great toe. While it did take several stages to complete her rehabilitation, she is recovering nicely and is now making great strides (quite literally!). We are celebrating with her every step. It has been a challenging battle, and we applaud her perseverance.